I saved the Ra’s Al Ghul mission in Arkham Knight’s Season of Infamy expansion because I had high expectations. My reward was one of the best moments from any Batman video game. I never believed that Batman would kill the Joker. However, I’ve always believed that, under the right circumstances, Batman would kill Ra’s Al Ghul. The kill-crazy clown might have a bigger body count but the near-immortal criminal mastermind has gotten under Batman’s skin like no one else. With Ra’s Al Ghul, it’s personal, every damn time. I’ve always loved Ra’s Al Ghul. The centuries-old Batman villain has always been the antagonist who pushed Batman up against the limits of his own personal code of conduct. His first real appearance in the Batman comics—he was a shadowy figure in previous stories—had the criminal mastermind coolly strutting into the Batcave and declaring that he’d figured out who Gotham’s masked protector was. Violating the security of Batman’s secret headquarters and Bruce Wayne’s impregnable self-assuredness was only the beginning of the mind games that Ra’s would play on the Dark Knight. See, the man called the Demon’s Head desires the same thing as Batman: to save humanity from polluting itself into oblivion and to make the planet a better place. He’s wanted Batman to help him accomplish this goal by becoming his successor and taking command of the League of Assassins. It’s the means by which Ra’s hopes to accomplish that goal (namely, taking over the planet and/or killing off a huge chunk of its population) that separates him from his archenemy. But, over the years, various Ra’s Al Ghul-centric storylines have shown Batman doing things he probably shouldn’t, like teaming up with someone who’s killed across generations. His star-crossed romantic entanglement with his archfoe’s daughter Talia teased a peaceful, married-with-kids future that the Dark Knight could never actually enjoy and showcased rarely-seen emotional vulnerability in Batman. You knew that Batman would do the right thing in his various clashes with the Demon’s Head. The best stories where they faced off harbored an extra soupcon of temptation, like the 1989 graphic novel Son of the Demon. Ra’s is an enemy with enough gravitas to make Batman act outside of himself. The final clash in 1992’s Birth of the Demon graphic novel was one of the few moments where I, a longtime comics reader, believed that Batman would actually kill one of his enemies. That story had incredibly high stakes: Batman was dying and was desperately trying to stop an almost-dead Ra’s from extending his centuries-old life even more. In addition to knowing who Batman really is, Ra’s Al Ghul also commands a secret army of shadow warriors and has risen from the grave time and again. That longevity and reach makes Ra’s much more potentially dangerous than the Joker. Birth of the Demon casts Batman’s pursuit as a dying-breath attempt to stop Ra’s from ever being a threat again. The fight to the death in this story actually reads like one and the penultimate panels clearly show a Batman ready to both kill and die in pursuit of his mission. Spoilers for Batman: Arkham Knight’s Shadow War DLC mission follow. 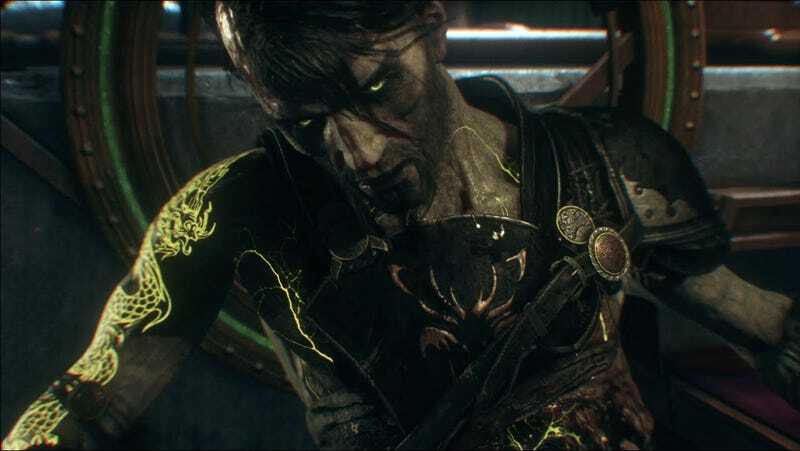 Batman isn’t quite as close to death in the Arkham Knight DLC mission that brings him face-to-face with the video game version of Ra’s Al Ghul again. But he does face a life-or-death decision in Shadow War, which revisits the Demon’s Head after the events of Arkham City. The mission finds two factions of the League of Assassins fighting over whether to restore their master to full health or finally letting him die. That decision ultimately winds up in Batman’s hands. The climax of Shadow War has Batman standing in front of his weakened nemesis with a vial of Lazarus fluid, which he can use to revive Ra’s or destroy and damn him to a long-overdue death. While the hoary “moral choice” mechanic seen in so many other big-budget games is a rarity in latter-day Bat-games—which have had Batman steadfastly and programmatically resolved to one course of action— its use in this DLC story isn’t what makes this moment sing. Rather, it’s the fact that this moment forces the player to think about their own interpretation of Batman. I turned the idea over and over in my head before committing to a button press. On one hand, Batman doesn’t kill. On the other, letting Ra’s live means that he will doubtlessly commit more evil in the future. As shown in the video above, no matter what you do in the Shadow War DLC mission, someone dies. This grim reality has the perhaps unintentional effect of reinforcing the idea that Batman—and most superheroes—simply uphold the status quo. There’s no meaningful change wrought here, just the avoidance of a more meaningful threat. Batman may be a superhero who doesn’t kill but even he is incapable of staving off the ultimate inevitability of death. Using the conceit of a nigh-immortal villain to lay this existential dilemma at the Dark Knight’s feet makes for a fitting goodbye for Rocksteady Studios’ time with Batman.